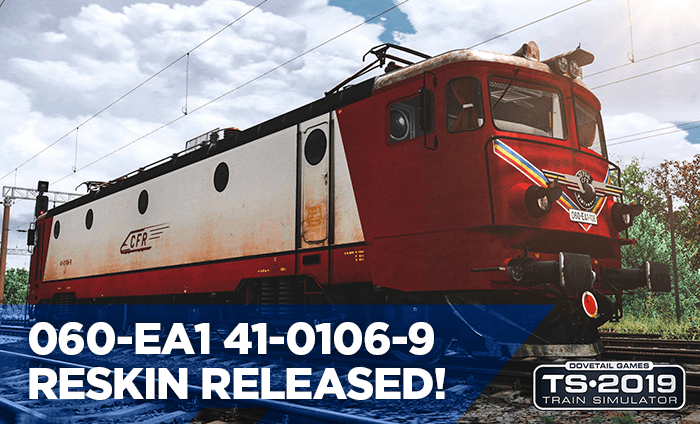 The first official reskin for the 060 EA locomotive is now available in our shop! Thanks to our new team member Zsolty, we are all gonna enjoy this wonderful loco! We are happy to announce the release of the first Romanian real scale route from Bucharest to Ploiesti Vest! 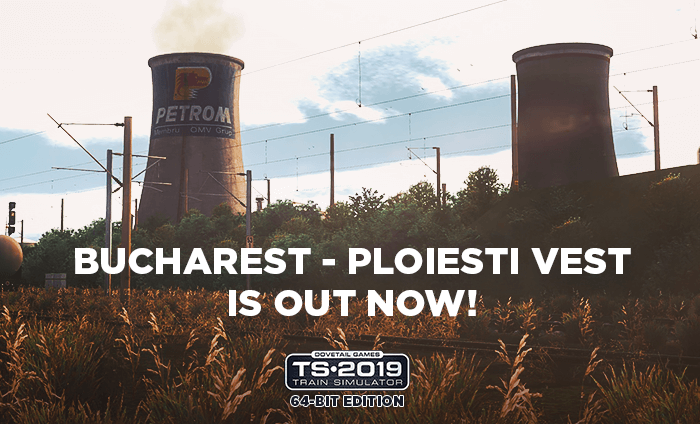 You can now enjoy the full Romanian experience through 20 new real scenarios, 3 bonus extensions (Ploiesti Cring, Mogosoaia and Balotesti) and many more! The waiting is over! 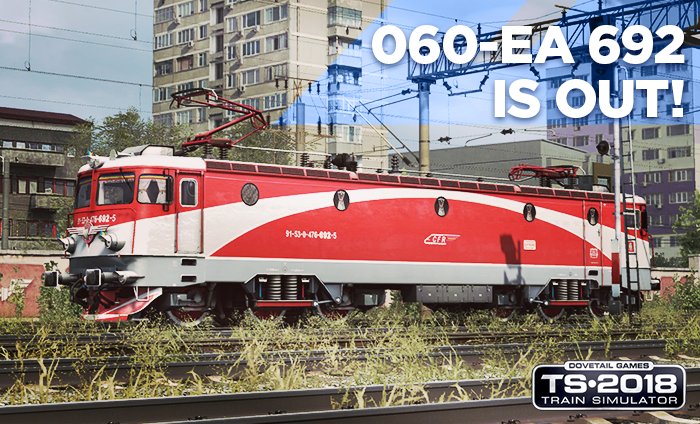 The 060 - EA 476-692-5 has left the depot and is ready to run on the tracks of your Train Simulator! You can now enjoy the most realistic model of class 47 that was used by CFR Calatori back in 2009. We are happy to announce the BETA version of the first Romanian real scale route! You will drive 50km trough real world environment replica until you reach Peris station. This BETA release is part of the Bucharest - Brasov project that our team is working hard to finish. 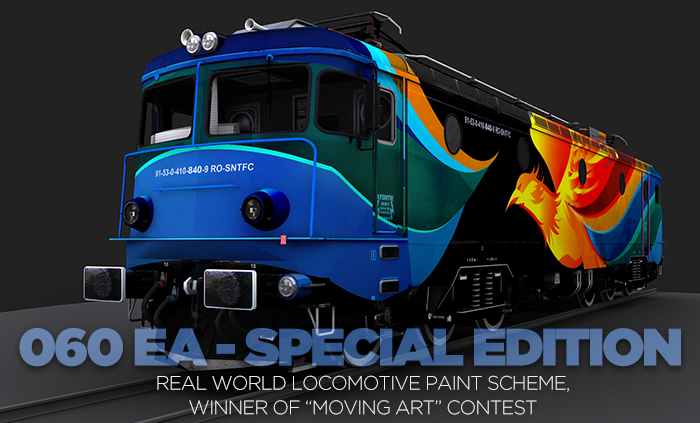 The winner design of "Moving Art" contest for 060-EA locomotive will be soon exported for Train Simulator 2016.